If you’re not a member of or have a family member who plays a role in our nation’s military, you may not be aware of the unique challenges our armed forces face when it comes to their finances. Fortunately, there exists an agency that focuses on those challenges in an effort to look out for military and their families. That agency, the Office of Servicemember Affairs, was formed by a team of former military members with a collective total of more than 100 years of service. The CFPD knows the difficulties, vulnerabilities and the disturbing tactics many lenders use. The CFPD counsels military members as they navigate through less than ethical business practices of some lenders. 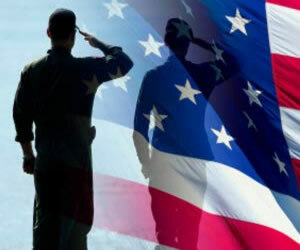 These lenders know our service men and women must maintain their finances in a responsible manner. Not only that, but they also know the military’s pay schedule and know that it is steady, which presents a good risk to these businesses. Not surprisingly, then, many of our troops are bombarded with credit card offers, home mortgage offers and countless others because of the role they play in society. Finally, according to the CFPD, there is a certain model that many military families fit. They’re often young, recently married, perhaps with a growing family: these all tell-tale signs are ones that unscrupulous lenders are drawn to. It’s that degree of inexperience of a young husband or wife they’re hoping to find. With strategies such as affinity marketing ploys, where certain banks and credit card companies use patriotism and loyalty to make their pitch, finding themselves drawn in after it’s too late happens often. Not only that, but because the nature of the traditional military family includes relocating, deployments and other changes, many find themselves wondering where to turn for help if they miss a credit card payment or car payment, especially if they’re in another country. These dynamics can annihilate a young service member’s financial security; this is where the CFPD comes in. Because each staff member has “been there”, they can not only recognize these harmful business practices, but they can educate service members on how to recognize them for themselves as well as avoid them. If they’ve already found themselves in trouble, the Bureau can serve as a powerful advocate against these well-seasons professionals. Whether it’s their mortgage payments or a sudden and unexpected increase in their credit card interest rates, once they’re armed with the right information and a solid plan to work through it, these families can move forward with much more confidence. There are unique laws in place to protect service members and their families – and often, they’re not even aware these laws exist. The Bureau has a team that serves as an educator for families who are struggling with overwhelming legal jargon in the financial industry, advocates who can negotiate on behalf of a service member and other team members who know the legalities associated with these unethical efforts of some creditors. The Government agency officially began on July 21st, 2011; however, it reports it had been receiving requests from current and veteran military members before then. Members of this powerful agency also step in to help when a credit card is lost or stolen or otherwise compromised. They work with the credit card agencies to keep the victim’s good name in tact. They also cooperate with law enforcement agencies working to uncover any suspected fraudulent activity. The goal is to ensure our military members have someone on their side, no matter where in the world they are. This enables them to move forward with the difficult tasks they face without the burden of wondering what’s happening to their credit scores and histories while also resting easy knowing their credit cards, mortgages and automobiles are protected and in good standing with the best rates possible. Ensuring financial success means an incredible life once they return home and to their families. It’s only when illegal, or at a minimum unethical, business practices come into play that the problems surface. The agency’s goal is to provide a proactive approach versus a reactive approach. In a time when few things are certain, whether it’s world peace or the economic recovery in the United States, agencies such as these are always a welcomed addition. Debt Collection Credit Cards: Deceptive Move or New Start?